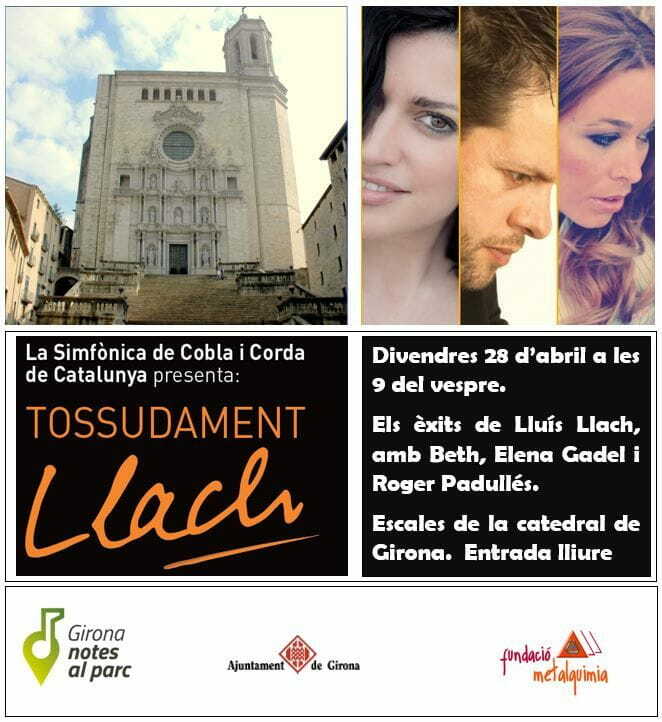 Friday April 28 "Tossudament Llach" in concert on the steps of the Cathedral of Girona. Friday April 28 at 9 pm La Simfònica de Cobla i Corda de Catalunya presents "Tossudament Llach" on the steps of the Cathedral of Girona. Do not miss the concert with free admission.